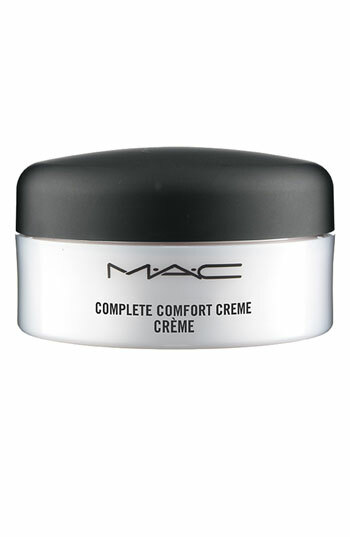 If a miracle moisturizer exists, I'm fairly certain it's M.A.C Complete Comfort Cream. This unassuming little black and white tub is filled with one of the richest, lushest moisturizers I've had the pleasure of trying to date. The ultra-creamy formula is packed with hydrating, soothing benefits, thanks to calming plant and marine botanicals. It works to eliminate redness and irritation from the skin -- and, wow, does it ever! My skin has been in minor freakout mode for months now, and finally, FINALLY, I'm seeing the light thanks to this rich cream. In just a few days, my skin was back to its baby soft texture and actually looked like it was glowing from within. This moisturizer is part of M.A.C's new Cham Pale collection -- a cuvée colour collection that’s cause for celebration! A champagne smash, shimmering with all the bubbly optimism and golden glow of the best that’s yet to be. M.A.C Complete Comfort Cream retails for $32 at maccosmetics.com.